Along with playing music and video files (we described these features in the previous article), many modern players can also do other tasks. Today we are going to review the most popular of such functions. The first and the most popular function is FM Radio. All of them can receive 88-108 MHz signals. Very often players can receive signals from 76 MHz and higher (FM range in Japan). Some stations broadcast in the ultrashort wave range starting from 64 MHz, but media players usually cannot receive such signals. Radio support is practically identical in all players, they are equipped with standard FM tuners with standard features. You may come across some players with bad reception, but they are an exception rather than a rule. You just don't forget that the headphone cable acts as an antenna, so reception quality depends much on it. The key features of FM tuners in media players are practically identical. However, some players support more features than the others. Practically all players can store a certain number of stations in memory for quick access. Stored stations are usually called presets. The number of presets varies in different players; mostly from 20 to 32. Some players allow to rename stations either via a computer or using player's commands. Sometimes, you don't need this feature - if a player supports RDS, it can retrieve data from a station, a station name is broadcast in 100% of cases. Unfortunately, players supporting RDS are extremely rare. RDS Text is not supported at all (this standard allows to broadcast song titles playing at the moment). You can save selected frequencies into presets either manually or using auto search, when a player detects radio stations automatically and saves them into the list of presets until the end of its frequency range (108 MHz) or until it runs out of free presets. There are accessories for tunerless players. Sometimes you can record radio broadcasts into player's memory. Some people may think that it's a useless feature, just like FM tuners in players. But other users think that FM tuners and the recording feature are a must in a media player. This feature used to be available in most players, but now it's rarely used. Mostly because of copyright issues. However, some players can still record radio stations. Player options usually allow to specify necessary record quality. FM audio is encoded with the built-in codec. These codecs may differ in players, which affects their recording formats. 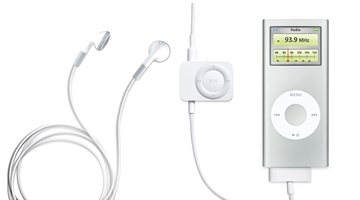 MP3 has been the most popular format up to recently. Now many players use WMA (because unlike PœP 3, it does not require royalties from each player sold), but it may also be WAV ADPCM or other formats. As a rule, a user can specify necessary encoding quality from 32 to 256 Kbps. In fact, 128 Kbps will do fine for radio stations - their audio quality is not higher. If you choose higher quality, your files will just take up more room. Some players allow to schedule recordings - you just specify a frequency, start time, and end time. You can even configure a player to record programs at selected days of the week. Your player should not be necessarily switched on for recording - your device may show no "signs of life" and still record a radio station (just don't forget to plug headphones - because they act as an antenna ;)). You can easily transfer a recording to a computer. The built-in codec that encodes audio from the built-in FM tuner, can also work with other sources. It can be used in a couple of other cases. The second application is voice recording. This feature is widely used. Players usually record voice using a small built-in mike, which is placed deep inside the enclosure for protection. Some models allow to use an external microphone for higher quality. It may come in the bundle, or you may have to buy it on your own (it happens more often). Players that cannot record voice can be upgraded with accessories. We all know about digital voice recorders. 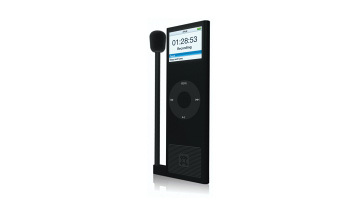 Some of them can play music just as media players can be equipped with voice recording functions. You just have to decide which function is more important: voice recording or music playback. A dedicated device will certainly work better than an optional feature of a device designed for other functions. Nevertheless, modern voice recorders in media players do a relatively good job. They cope well with recording voice at a short distance (up to four meters). You can usually specify quality of recording into MP3, WMA, WAV, or other formats. A recorded file can be transferred to a computer. Maximum length depends on the selected quality and player's memory volume. For example, if you choose 128 Kbps, you may record up to 9 hours. You should agree that it's much better than cassette voice recorders. Besides, you may test the built-in mike, when you buy a player - it won't take much time, and it won't require much effort from a sales person. The third application of the encoder is Line-In. It can be used to convert analog audio into digital form without using other equipment. One end of an analog cable (it's usually a 3.5 mm jack as in regular headphones or a 2.5 mm jack) is plugged into a player, the other end - to a tape recorder or any other device with a headphones-out or line-out. It will take as much time to record a song as it plays - it's just analog audio transfer from one device into another. The player will convert audio into the digital form using its built-in codec and save it into a file. Many models (but not all) with a line-in can split audio into several files cutting them by intervals (which usually separate songs). You can easily do it on a computer, of course. But this feature in a player makes your life much easier sometimes. Thus, you can convert an audio cassette or a gramophone record into the digital form to store in a computer. The next function is browsing photos. 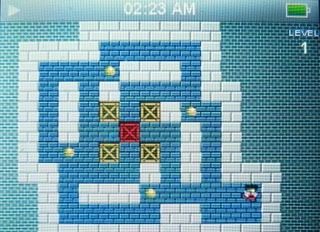 Practically each player with a color display can show pictures. They usually support several formats: JPEG is the most popular, then go BMP, sometimes PNG and GIF, rarely RAW formats of some digital cameras. 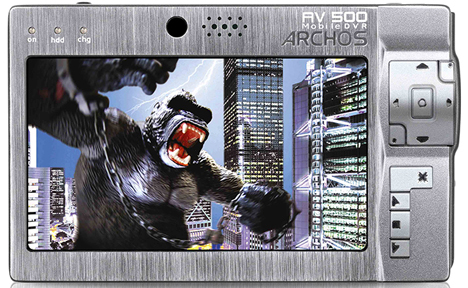 Regardless of display size, each manufacturer offers photo album functions. You should pay attention to the display size in the first place - it won't be convenient to browse photos on a small display. You will need at least a 2.5b� display - the larger, the better. Color rendition quality, contrast, and brightness of modern displays are constantly improving. They've reached a very good level now: many multimedia devices display up to 16.7 million colors. If a player supports SD/SDHC cards and your digital photo uses the same format (it's the most popular format now), you can browse your photos right in your player. It's not the best option, but it's still more convenient than small displays in some digital cameras. Some players support the USB host function. You can use it to sync your camera with a player without a computer. There exist special cables for this purpose. Besides, a player is usually equipped with a connector for such cables, a usual USB connector can also be used for it. Along with cameras, players can sync and copy information from/to many other devices. Just like with a computer. But in this case a player acts as a PC, and the other device acts as a periphery. Many modern players can show text files. Thus, you can use them as ebook readers. As in case of photo support, there are similar problems here: display size. The larger the display, the more convenient to read. Many devices with small displays also support TXT files (it's the most popular format, e.g. Notepad files in Windows). Reading ebooks is very often out of the question, but you can have a look at a short note with an address or something. Especially if your mobile phone does not allow it, and you don't have a PDA. Here is an example. Along with standard text files, some players also support PDF files. Such files can also contain graphics elements - drawings, photos, formatted text, etc. PDF is supported by only a few players so far, and it takes very long to load each page. But this feature may still be helpful from time to time. The player may also come in handy when you need to take a file to another computer, and you don't have a CD or a flash card with you. Most players allow to copy non-media files - documents, programs, anything you want. The majority of players use standard mini-USB. The same cables are also used by many mobile devices, so if you don't have such cable with you, you may find one nearby. Some expensive players can capture video from a TV set: that is record TV programs from a TV set, satellite decoder, video tape recorder, or even from a camcorder. Some players can do it with standard tools (if fact, you cannot call such device a player anymore), which affects their prices. A recorder that can capture video without additional accessories. Sometimes you can get this function by buying an accessory from the same or third-party manufacturer. Advantage of this feature is that you don't have to overpay for the function that you won't use, just try a few times. You will have to buy a proper accessory to capture video with this player. Thus, we can see that modern media players can replace a bulky video tape recorder. If you have such a device, a computer, and a large TV set, you may set up a fragment of digital home. 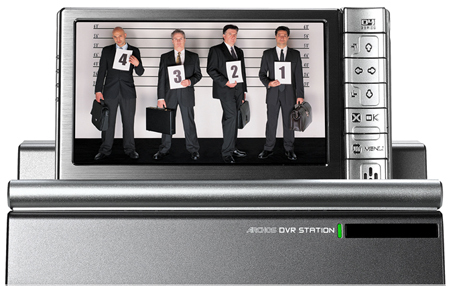 We've reviewed the key notions you may come across when you choose a new media player. We have also analyzed possible functions of media players - from audio playback to recording from external audio and video sources. In next articles we'll describe how to choose a player based on your requirements and using real examples.